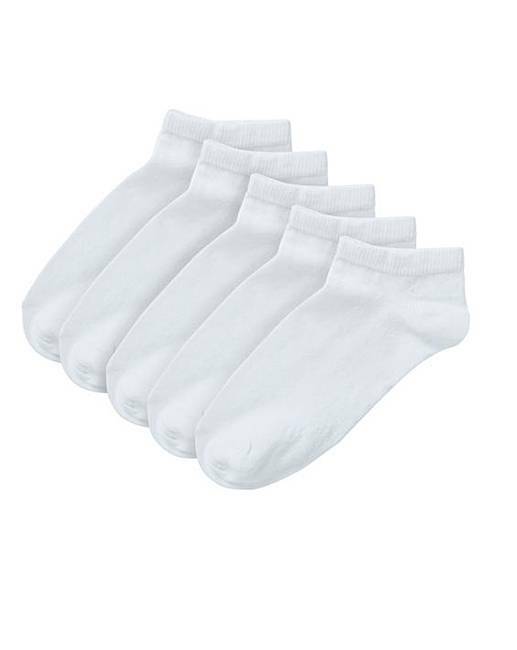 Cosy up your feet with the 5 pack super value ankle socks. Perfect for everyday wear, the 5 pack ankle socks feature cotton rich-fabric which offers stretch for added comfort, whilst allowing your feet to breathe. Fits sizes 4-7. The newly launched wide fit ankle socks are specially designed to cater for a wider foot, to fit up to shoe size EEE. Animal: 60% Cotton, 23% Polyester, 15% Polyamide, 2% Elastane. Black: 77% Cotton, 22% Polyamide, 1% Elastane. Black/White: 75% Cotton, 24% Polyamide, 1% Elastane. Multi: 83% Cotton, 15% Polyamide, 1% Elastane, 1% Metallic Fibre.